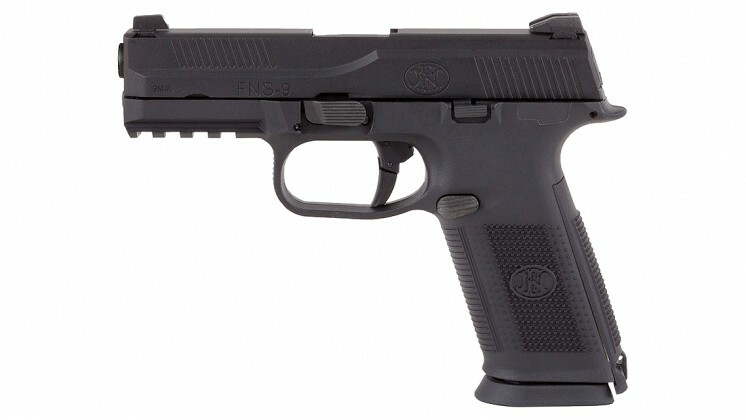 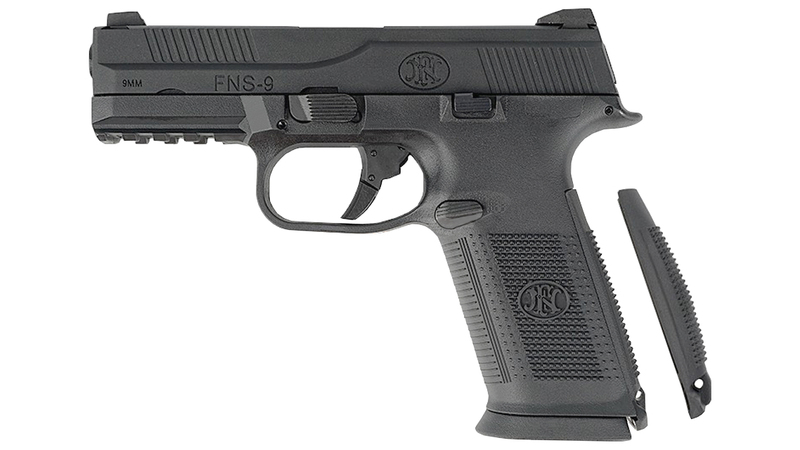 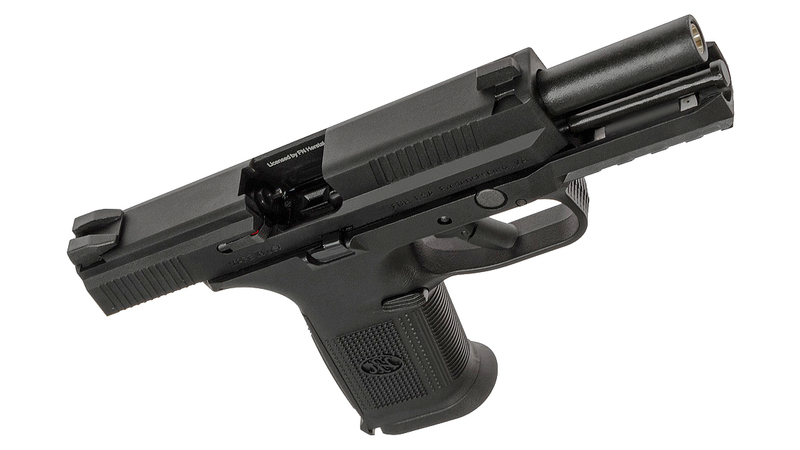 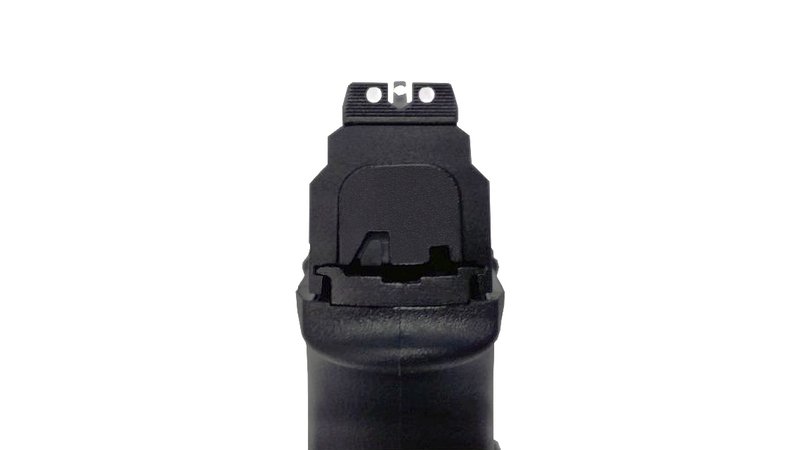 The licnesed FNS-9 pistol features a pre-loaded striker mechanism and a manual safety, hence combining fast and accurate shooting and optimal safety. 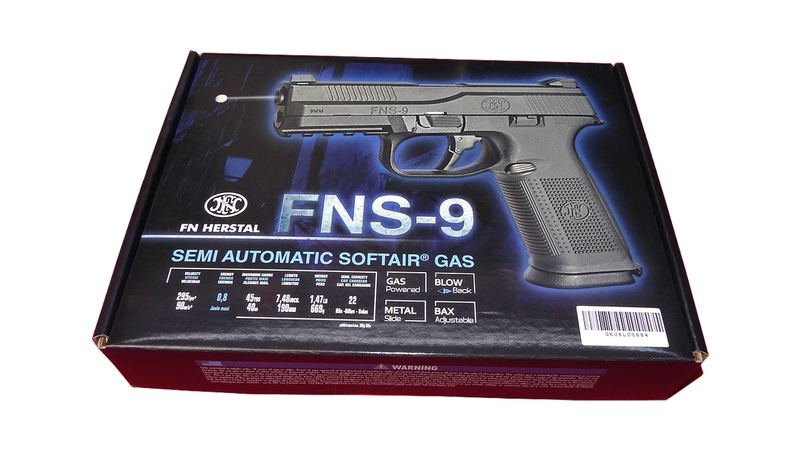 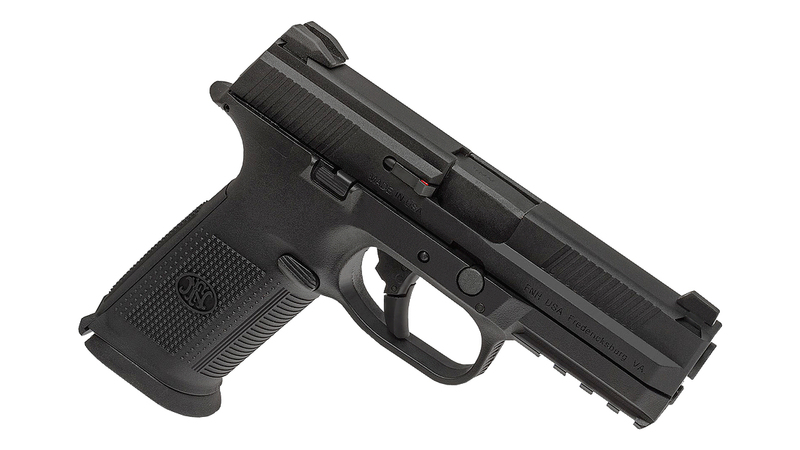 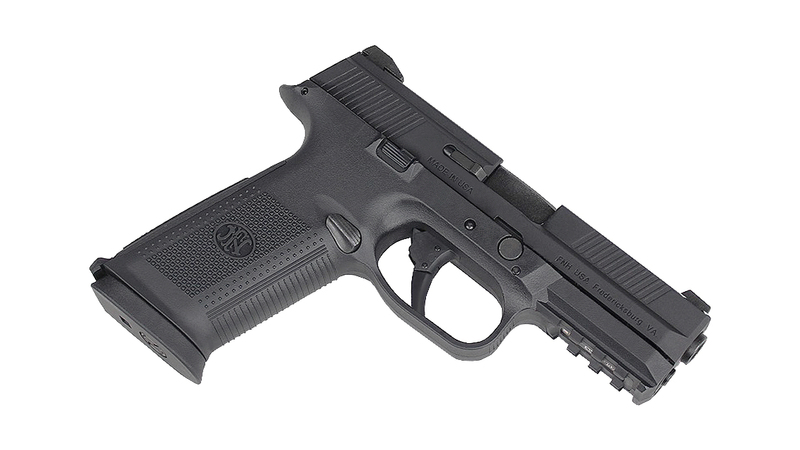 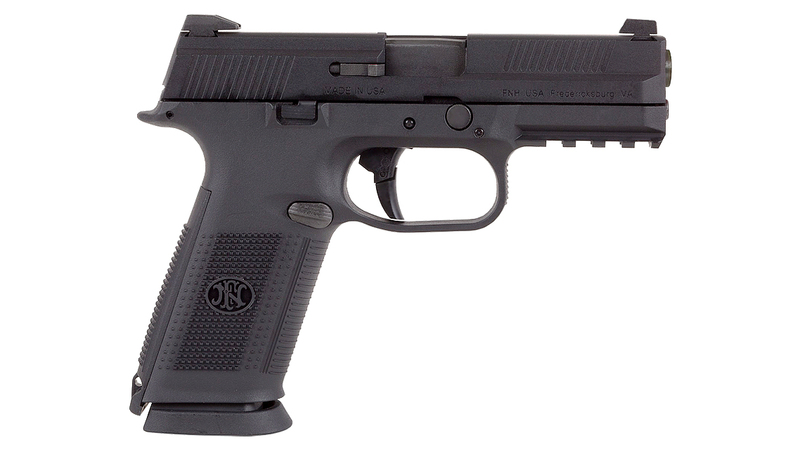 Additionally, the well thought out design of the FNS-9 results in a stable, highly ergonomic and ambidextrous pistol that is easy to operate. 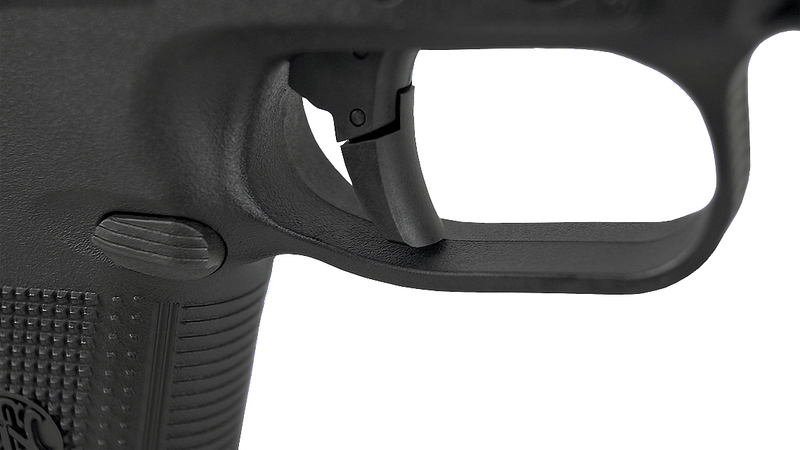 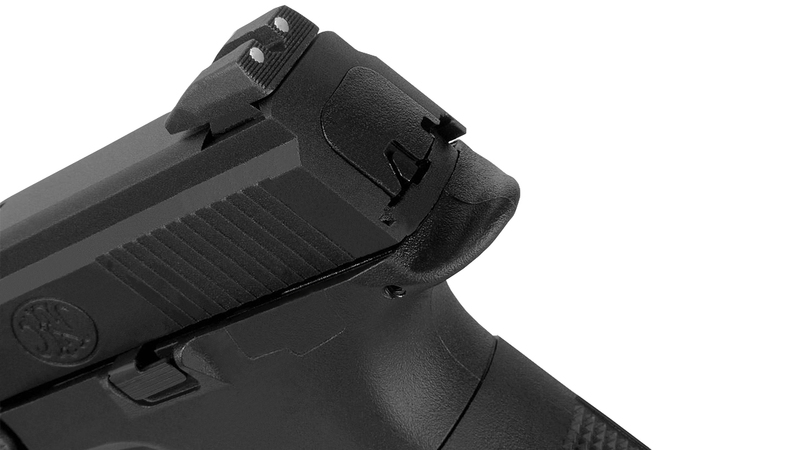 The pre-loaded striker mechanism of the pistol means that energy has been pre-loaded partially. 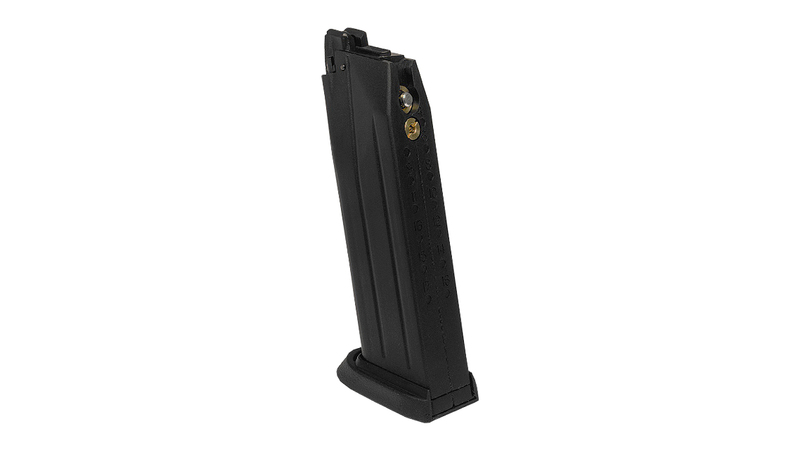 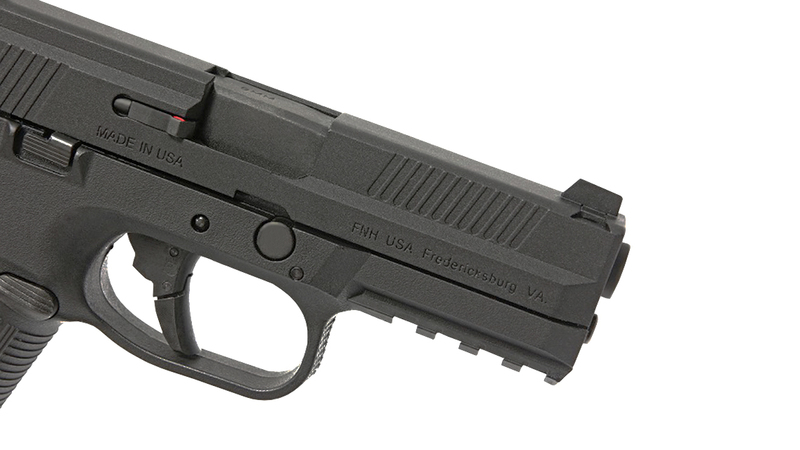 This ensures a short and light trigger pull identical for all shots allowing fast and accurate shooting. 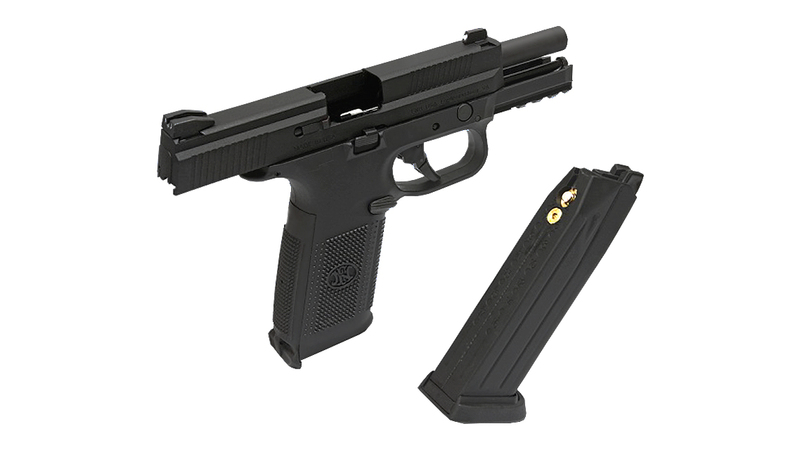 It features a low bore axis providing minimized perceived recoil and reducing muzzle rise for a perfect weapon controllability. 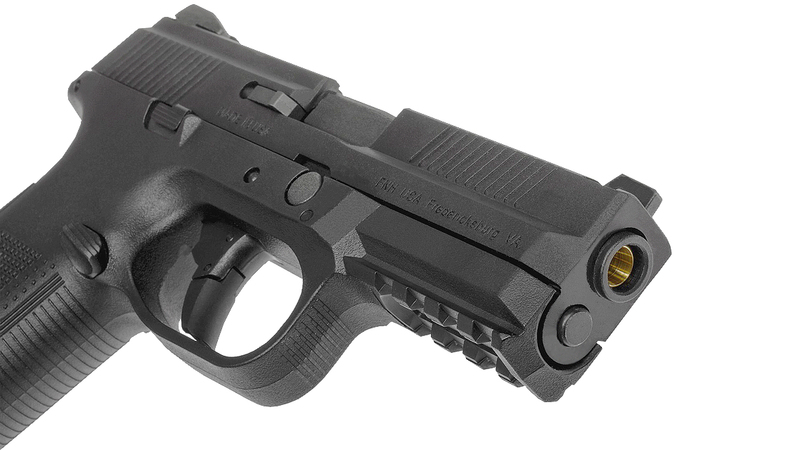 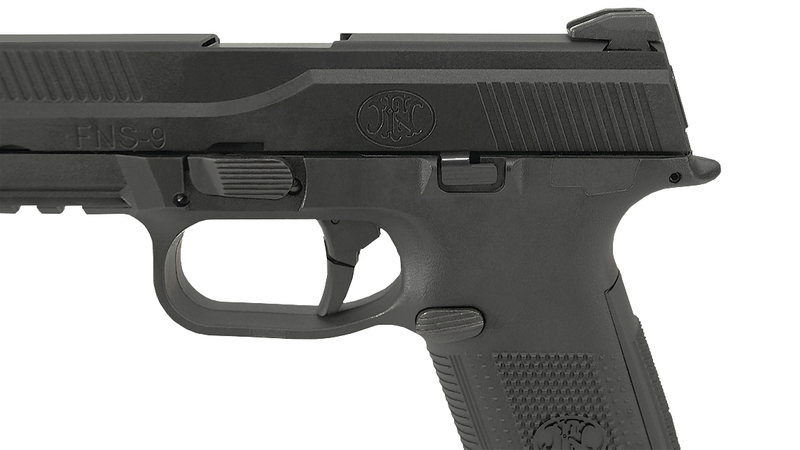 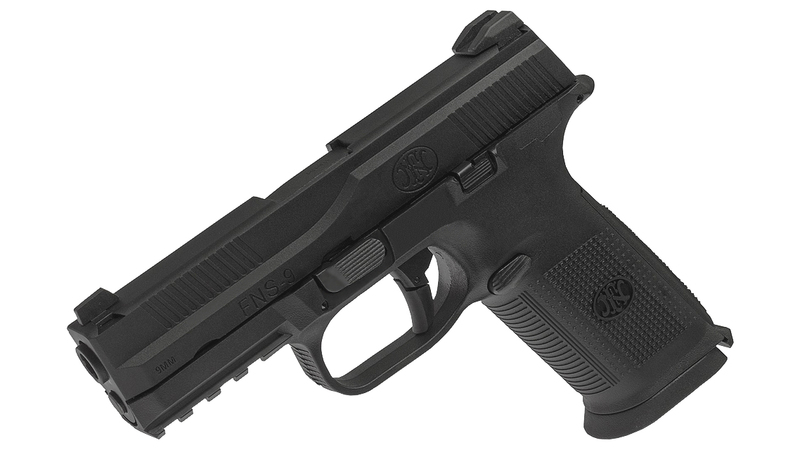 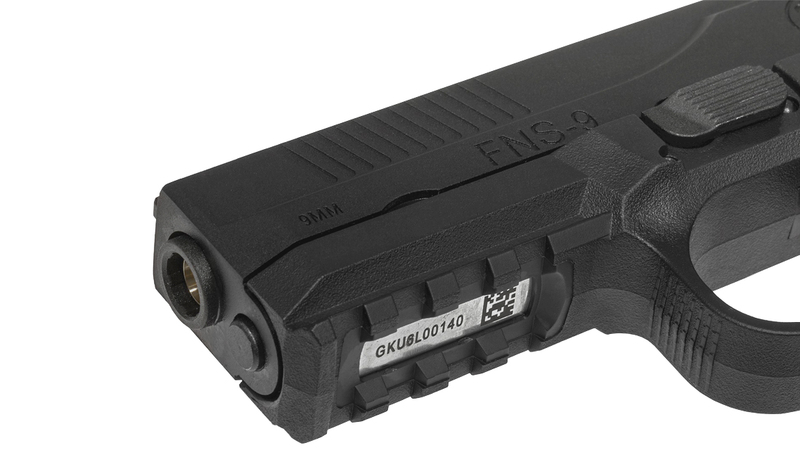 The FNS also features a newly designed three-dot combat sights with deep rear sight notch which improved significantly the accuracy. 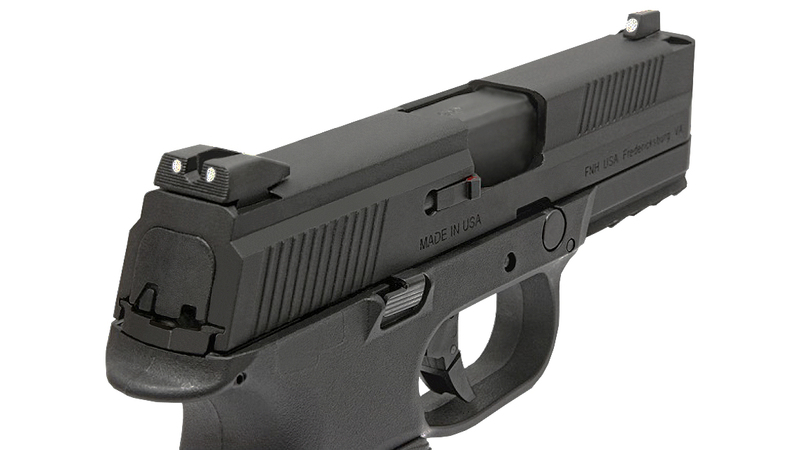 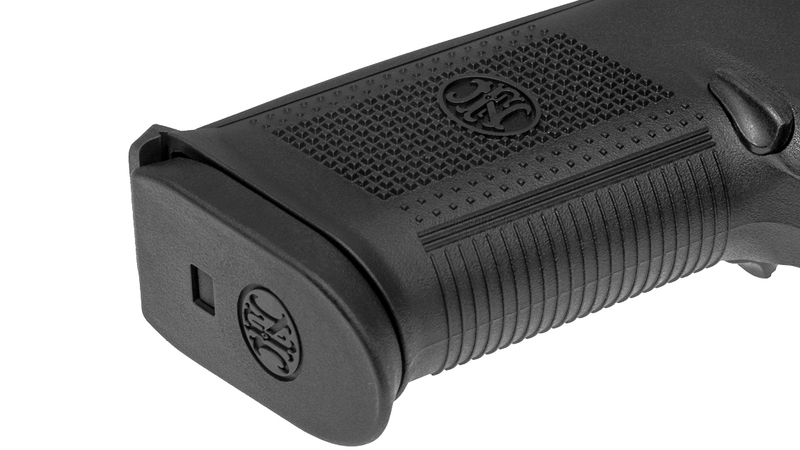 • Three interchangeable backstrap inserts quickly adapt to the pistol to the shooter's hand size.